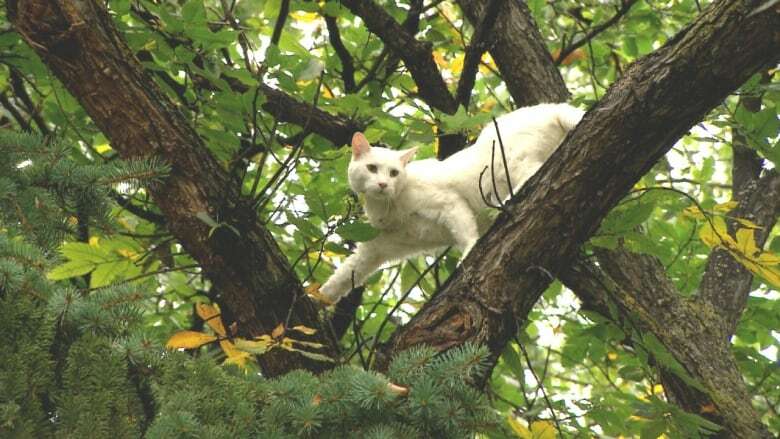 Elly May, a two-year-old white indoor cat, climbed up a tree near College Avenue and Salter Street Friday night. She reached a height of about 10 metres and stayed pretty much put. The next day, after a number of calls to 311, her owner, Russell Stevenson, said the city was too busy to help rescue her so he and his wife prepared for a second night of worry, hoping Elly May would find her way down. "It was very stressful for me and my wife," he said. "She's a cat but she's our family." 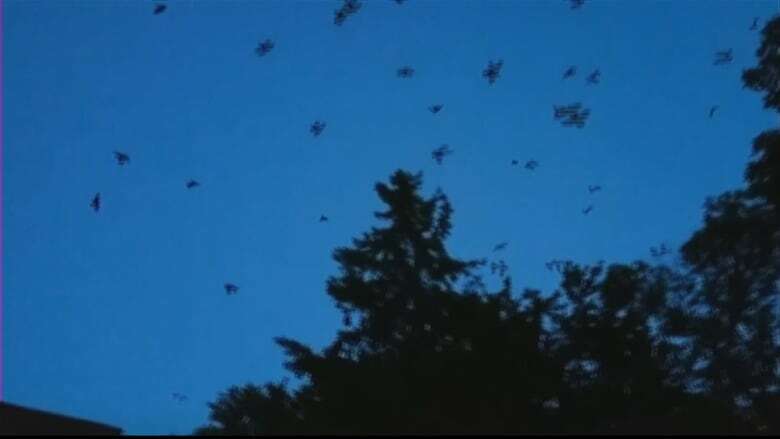 It was later Saturday evening when Stevenson said they heard the birds. When they went to check on little Elly May, what they saw was straight out of a movie — around 50 black crows flocking around the cat, cawing at her. "It was just crazy, they all gathered around and they swarmed her," Stevenson said. "The noise was deafening." Perhaps thanks to the gumption of the Beverly Hillbillies character she's named after, Elly May survived the Hitchcockian affair. But the ordeal didn't end there. On Sunday, Stevenson tried calling for help once more. This time, fire crews arrived with a ladder. Firefighters made at least three attempts to reach Elly May, including one where she slipped from the rescuer's grasp and either fell or jumped onto a lower branch, depending on who you ask. Crews left the scene after attempting the rescue for more than an hour, the city said. Stevenson said that's when he took it upon himself to get the feline down. He rented a ladder and using the back of a pickup truck was able to reach the terrified cat and carry her down. Elly May is now safe at home, he said, and while she's a little spooked, she doesn't show signs of physical injury. "She's coming around. She's eating," said Stevenson. From now on, Elly May's outdoor activities will be restricted to the backyard where there is a very high fence.